Looking for a Private Equity Job in Texas? There are currently 29 hedge funds and private equity companies in Texas with open job positions. These include funds in Dallas, Fort Worth, Houston, Austin and more. For a complete list of more than 225 hedge funds and private equity companies in Texas, along with current hiring status, please see our Texas Hedge Fund / PE List. The above are just the first 10 out of 29 hedge funds and private equity firms currently hiring in Texas. 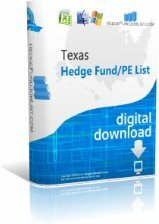 If you are looking for a hedge fund job in Texas, our Texas Hedge / PE Fund List is truly an invaluable resource. In addition to hiring status for each of more than 225 funds, you get detailed information on each fund including address. phone/fax, corporate and HR emails, top executives, AUM, # of employees and more all in Excel format. And it’s the only list designed specifically for hedge fund and private equity job seekers! Looking for a Hedge Fund Job in Texas? There are currently 29 hedge funds and private equity companies in Texas with open job positions. These include funds in Dallas, Fort Worth, Houston, Austin and more. For a complete list of more than 225 hedge funds and private equity companies in Texas, along with current hiring status, please see our Texas Hedge Fund List. The above are just the first 10 out of 29 hedge funds and private equity firms currently hiring in Texas. If you are looking for a hedge fund job in Texas, our Texas Hedge Fund List is truly an invaluable resource. In addition to hiring status for each of more than 225 funds, you get detailed information on each fund including address. phone/fax, corporate and HR emails, top executives, AUM, # of employees and more all in Excel format. Yellowstone Group is a private equity company based in Houston, TX. Their primary investment strategy/sector is Clean Tech. Yellowstone Group has 4 employees. Yacktman Asset Management is a hedge fund company based in Austin, TX and is led by its President, Donald Yacktman. Their primary investment strategy is Value. Yacktman Asset Management has $19700 million in assets under management (AUM). The company was founded in 1992. Westwood Holdings is a hedge fund company based in Dallas, TX and is led by its President and CEO, Brian O. Casery. Their primary investment strategy is Value. Westwood Holdings has $25 million in assets under management (AUM). Vortex Partners is a private equity company based in Addison, TX. Their primary investment strategies/sectors are Technology and Media. Vortex Partners has 3 employees.